How Can I Create and Stick To a Budget? The tough economy has forced many people to get back to the financial basics – including doing something that most individuals dread: budgeting. If you don’t yet have a budget, or if your current budget is constantly out of whack, take heart in knowing that you’re not alone. In fact, 70% of all Americans don’t have a working budget. 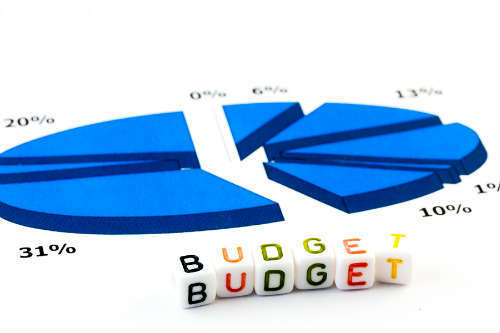 Until now, it’s possible that no one ever explained to you exactly how to create a proper and realistic budget. After all, budgeting isn’t a skill that is taught in most homes, or even in school. Or perhaps you’ve tried, but you just haven’t been able to stick with a budget. Whatever the case, it’s high time you learned six secrets to establishing a fool-proof budget – one that you can live with over time without feeling deprived, and without worrying that unforeseen circumstances will wreck your finances. These six secrets – revealed below in a series of do’s and don’ts – can help anyone become a whiz at budgeting. To master budgeting, you first have to change your mindset about what it means to live on a budget. Be honest: When you think about being “on a budget” do you inwardly loathe the idea, wishing instead you had so much money that you could spend on anything you want? Or do you automatically assume that having a budget means drastically changing your lifestyle, because there will be a lot of things you can’t buy, do, or have? If so, you must banish those negative thoughts and misconceptions. First of all, even millionaires have budgets. Realize also that creating a budget – and living with it – doesn’t have to be so restrictive. Nor does it mean a complete end to all spending or having fun. In fact, a well-prepared budget will have certain “treats” built into it. And it’s precisely these “treats” that will help you stick to your budget. More on those “treats” later. But for now, it helps to think about a budget as your own personal “Spending Plan”. With a “Spending Plan,” you establish priorities about what to do with your money – and what not to do with it. In other words, with a “Spending Plan” you’ll no longer be making an endless series of impulse purchases (both large and small). Instead, you’ll finally control your money, instead of letting your money control you. When you look at these benefits of having a budget, or a “Spending Plan,” it’s clear that you should embrace the concept, not fret over it. Also add to your list any categories based on your personal lifestyle and circumstances. For instance, if you have children, you might include childcare, or a category for gifts purchased to celebrate birthdays, holidays, graduations and other special occasions. Or maybe you’re an avid reader. If so, include a category for magazine subscriptions or books. Your expenses list can be written, or entered on a computer spreadsheet. The key is to accurately capture all your spending, and attribute a monthly figure to each category. If you pay for something once a year — or even several times a year — simply add up the total annual cost and divide it by 12 (for 12 months in a year). For example: assume you pay $800 a year for auto insurance, and you typically pay the entire annual premium in December. Divide that $800 by 12, and you’ll get an average monthly cost of about $67. That’s the amount you should put aside in your budget each month for 12 months – instead of trying to come up with $800 at year’s end. The #1 Rule of Budgeting is this: You can not spend more than you earn. Sounds simple enough, right? Well, unfortunately, most people don’t follow this simple rule. Spending more than you earn violates a cardinal principle of good financial management because it means you’re deficit spending. 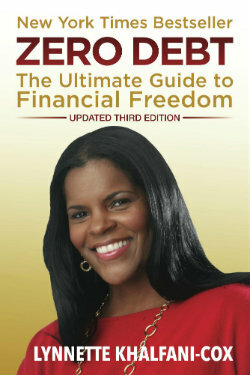 Anyone who spends more than she earns – whether it’s $20,000 a year or $20 million – will always be broke and in debt. So after you tally up all your expenses, you need to compare them against your net income (not your gross salary, but your actual take-home pay). If your bills exceed your net earnings, you must revamp your Budget/Spending Plan, giving priority to necessities. Start by cutting out luxuries first, then non-essential purchases to bring your spending in line with your income. No excuses. No exceptions. Here’s a little-known secret that successful budgeters use – especially those who have to revamp tight budgets because there are lots of bills to be paid. In order to stick to a budget over the long haul, successful budgeters give themselves “treats” along the way. These treats are financially planned, accounted for, and built into their budgets. Think of them as rewards for good financial behavior. Only you can decide what reward would make you happy, and motivate you to stick to your budget. My recommendation is that you pick something of value to you, that gives you joy. Not something frivolous that you’ll later regret spending money on. Let’s say you enjoy a hobby, like photography. You should build into your budget a monthly allotment for expenses like film, camera equipment, or maybe a photography class. By rewarding yourself – with modest but meaningful treats – you won’t feel like you’re being deprived while on a budget. When you created your original list of expenses, did you include a “Savings” category? Probably not. Most people omit “Savings” from their budget, erroneously assuming they “can’t afford” to save, or that there’s simply not any money in the budget to save. But this is a big financial mistake. Without regularly setting aside some saving, you’re setting yourself up for budgeting failure. Anytime something pops up – let’s say you get a flat tire – you’ll blow your budget, or be forced to use a credit card. Do yourself a favor: Go back once more and add a “Savings” category to your budget, no matter how much or little you may have to save. Savvy budgeters also know that unexpected events and emergencies will always creep up. So they plan accordingly for these items to minimize their impact. If you’re a homeowner, or a car owner, calamities like a burst boiler unit or a faulty engine can ruin a budget. Try to thwart these events with preventative measures, such as regularly servicing your boiler, or having routine maintenance done on your car to avoid breakdowns and malfunctions. If you follow these tips, you can easily create a livable budget, one that will help you achieve peace of mind and eliminate many financial worries.